Bowl nickel table in aluminium in nickel finish. Elegant center table bowl. Bowl Gotham in polished stainless steel in nickel finish. 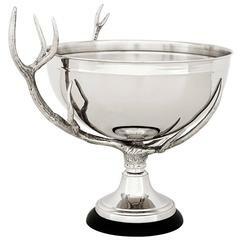 Wine cooler or bowl dear in polished. Nickel finish, on black base. Bowl or cup parrots and flowers made with porcelain. Hand-painted porcelain. Details handmade in solid bronze. 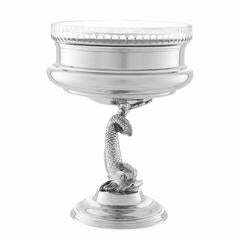 Bowl dragon or caviar cup in polished stainless steel with clear glass cup. 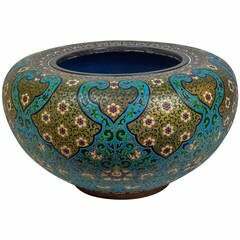 A massive and unusual pottery porcelain bowl in Islamic taste. Stock number: PP19.